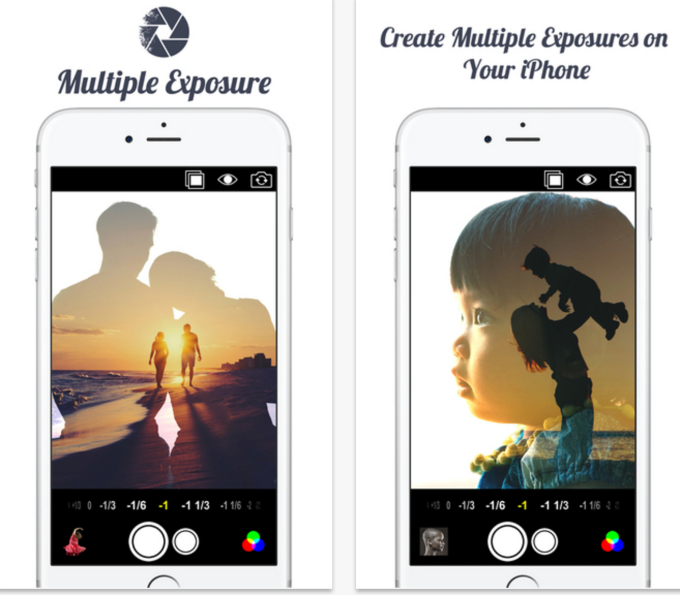 This past weekend, a Redditor released a brand new iOS app that pledges to make the Multiple Exposure Process simpler. Funny enough, it’s called Multiple Exposure; and uses an interface involving two different shutter buttons, simple exposure controls, and cool filters to really take advantage of what the camera can do on the iPhone. It’s best to use the smaller shutter button first and then the larger one. Multiple Exposures typically involve one image to have a subject in silhouette and then another photo properly exposed. That’s why the basic controls just make sense here. What you can also do is import an image and press which shutter button you want associated with which image. Beyond this, as you take a photo, you’ll see an overlay to preview what your final image will look like. Right now, the app is available for $1.99 in the App store. We’ve got a bit more of a tutorial here for you; and if you’re looking for more inspiration check out our multiple exposure and double exposure coverage.